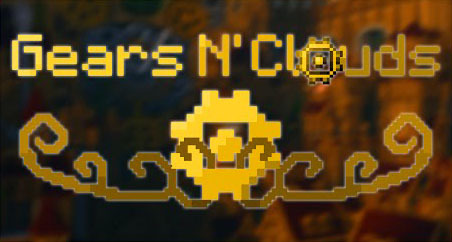 Gears N’ Clouds Mod is very useful Minecraft mod that adds new steampunk vibe to the game. Do you have luck on your side today? Go for a mining session and see if you can find the three new ores: Brass Ore (Yes, it is an ore now), Nexite Ore and the Rusty Iron Ore.
Decorate your house with some decorative gear accessories, like the Gear Lamp. Got to achieve them all! Get all of the achievements! Too lazy to do things for yourself? Build a machine that does it for you! Want to feel special? Better than everyone else? Craft the upgraded tank armor to amaze your friends.